*Kanye West voice* Hold up, hold up, hold up, hold up... Kobe got a lifestyle shoe? Kudos. 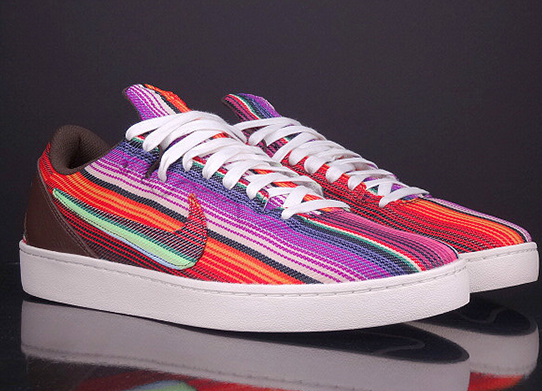 These look to be modeled more after a pair of blazers than the Kobe 8, but regardless, they drop tomorrow (Saturday, June 1st) - and I'm diggin them. Look for more (toned down) colorways to be drop all summer long. On deck is the George Green colorway. New line of Army surplus inspired bags from S/Double x Head Porter x Yoshida. Coming soon! Speak of the devil, but the Roshe is getting some bold looks this summer! 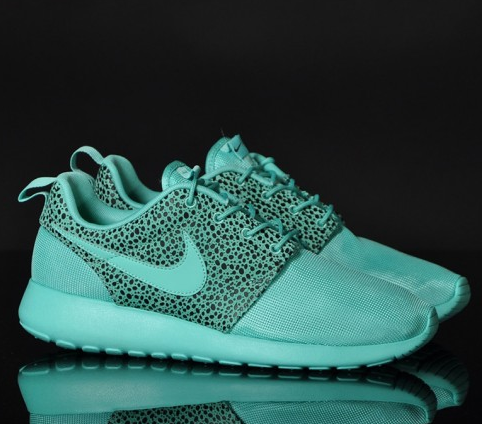 The new 'safari' print Roshe's are available in 3 colorways - mint, royal, red, and black - and you win big with any option you choose. Be on the lookout for these at select retailers soon. Presto's were one of the first non-performance based running shoes I fell in love with in high school. Taking cue from the inner sock of the huarache's but bringing comfort to the next level - these predecessor's to the Roshe and Solarsoft's were a huge advancement for Nike sportswear. 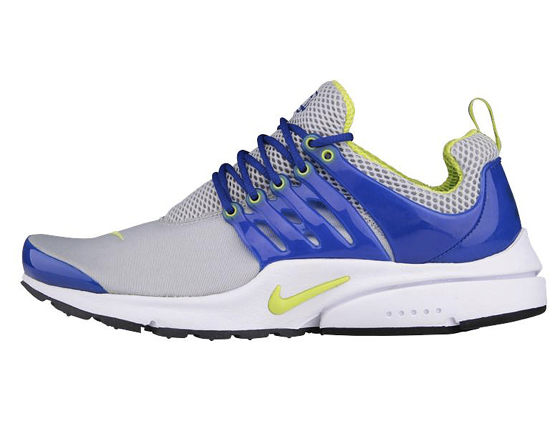 Pay tribute to a classic, and buy some Presto re-releases. Happy Memorial Day! Hope you all have time to spend a few minutes to reflect and give thanks to those that have given their life for our many freedoms. 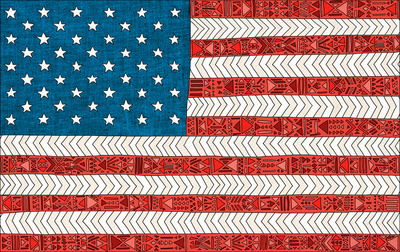 The print above is Bianca Green's graphical interpretation of the American flag. I'm also a fan of her "MY USA" print, which can be seen after the jump. Purchase here. Inspired by the blueberries of Mt Adams and the cloud peppered skies of Northern Oregon, Tanner Goods has a new collaboration with fellow Oregon based company, The Woodlands. The line of Indigo leather goods, including their standard belt and leather lanyard, are both currently available at The Woodlands online shop and flagship store. 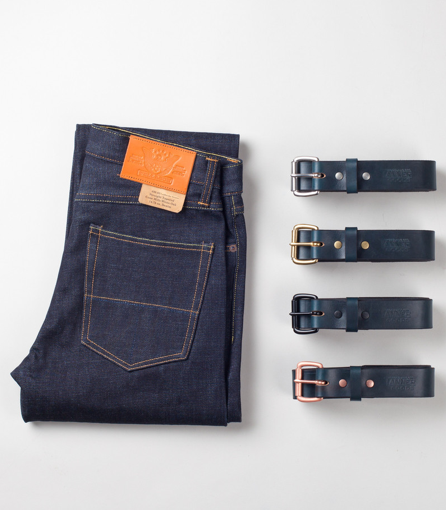 Pictured above are the 4 standard belts, along with another collaboration between The Woodlands and Telason denim. Read up on the denim collaboration, and purchase a 'bundle' package of a new indigo belt and the denim here. 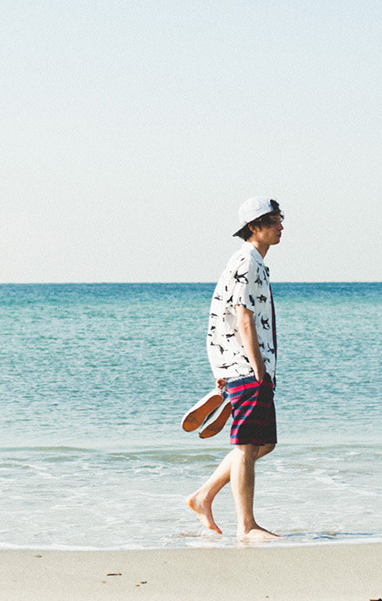 The Hundreds take their annual trip down to Hawaii to release their island inspired collaboration. Total collection can be viewed here, and purchased at any THLA Hawaii account (Blue Hawaii, Prototype, In4mation, Island Snow, Know1, etc). First the Fat Boys break-up, now every day I wake up, somebody got a problem with [clothes]. I think the day we all saw coming since the I.T Limited takeover is upon us - NIGO is stepping down from creative director of A Bathing Ape. 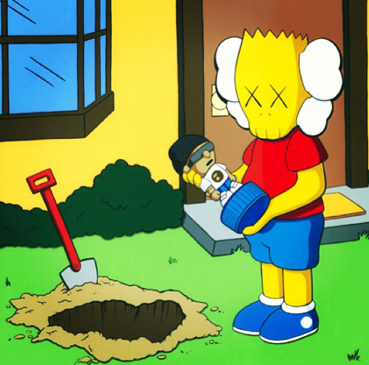 Kaws, perhaps feeling a little sentimental after just releasing his own last collection of Original Fake, created this Kaws Kimpsons piece to commemorate the event. More info here. It's Tiki Thursday - and Stussy has us covered with their new 'Story Time' shirt. Purchase here. Navy Horween® suede. 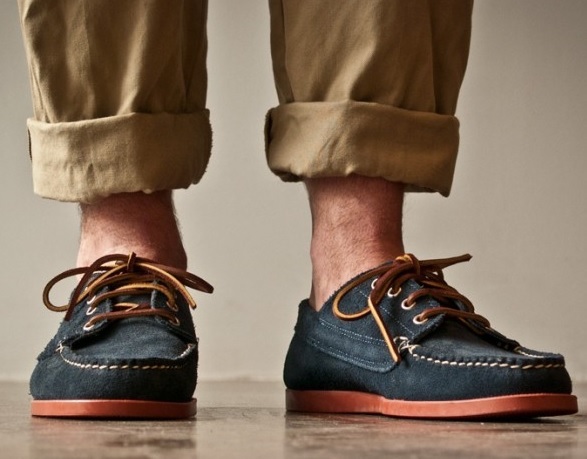 Hand-stitched moccasin construction. Red brick camp sole. Form-fitting inner. Waxed stitching. Rawhide laces. Handcrafted in the USA. Purchase here. 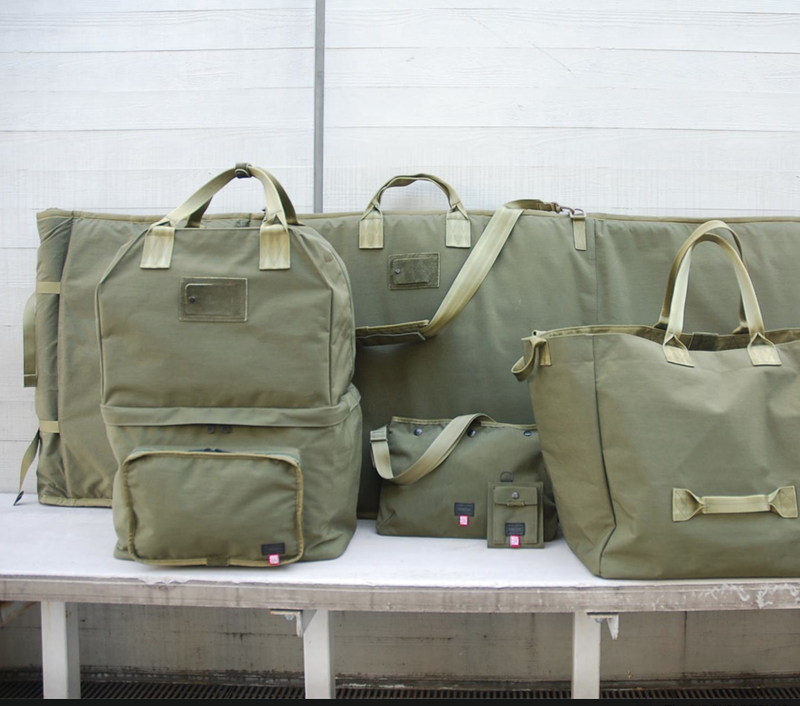 Lightweight stylish bags are a key requirement for summer time adventures - and New York based Owner Operator has a great option in their "Summer Pack". 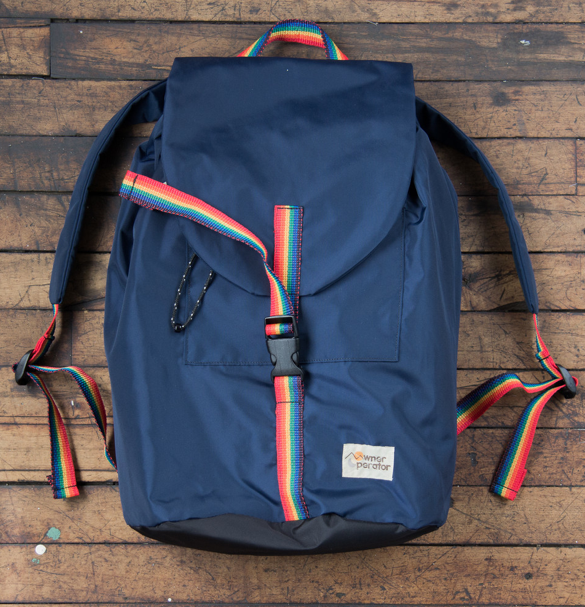 15% of proceeds on this bag in particular will be donated to the Human Rights Campaign, and just like all of their other gear, this is hand-made in NYC. Purchase here. Jonas Damon has created a beautiful alarm dock/clock made of hand crafted beech wood. Download their App, connect your device - and you are all set to go with a vintage inspired radio/alarm clock. Available for purchase here. The Hundreds flagship sunglasses frames, the Phoenix, look sharp, but the over-sized frames have always made me think they were built for (and look better on) women, but maybe its just me. The latest collection of the Italian hand crafted shades can be purchased here. 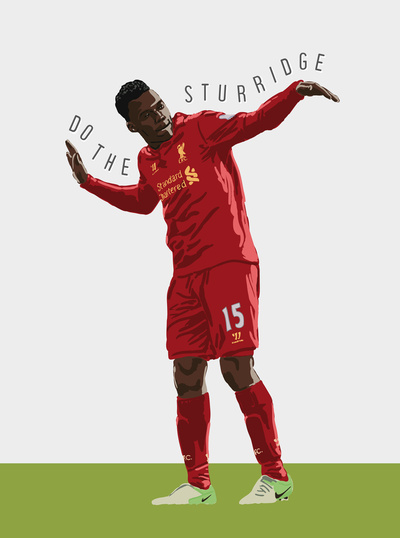 Kind of bummed that the Liverpool season has come to an end. At least I can buy some art inspired by one of my favorite dances out! Purchase here. 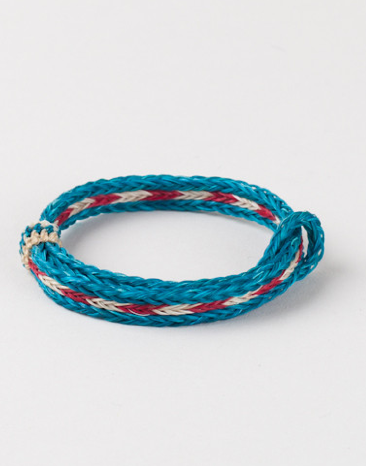 These horse-hair bracelets from Chamula are a step-up from the friendship bracelets my little cousin made me, but still quite a few steps below the "durable" Miansai bracelets. To be fair, I do like some of Miansai's new bracelet blends, and feel they are more reasonably priced within their proper range. 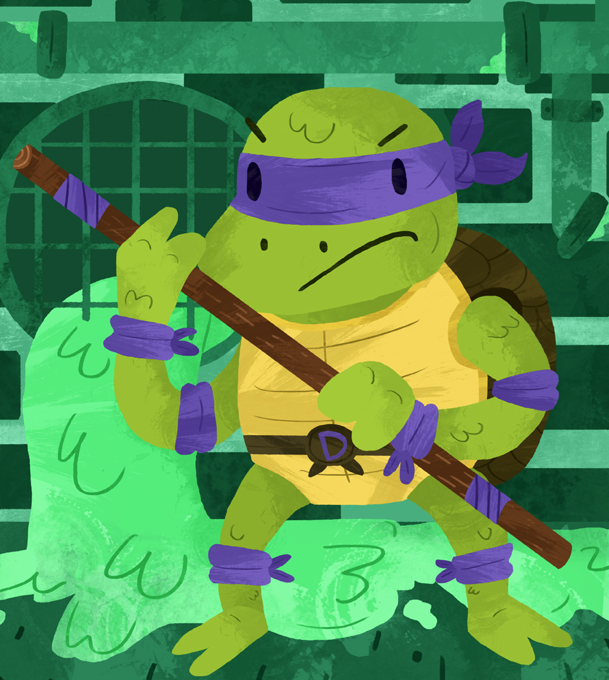 When I was a kid - I was crazy in to the Teenage Mutant Ninja Turtles. I still vividly remember how disappointed I was when I first got the TMNT video game for Nintendo and it didn't live up to my self-created hype. Anyways, Tyler Draws, and he has a nice portrait of Donatello crusing the sewers that invoked some old memories. Check out his other works here, and purchase here if interested. Who is ready for some new Brothers Marshall? Sneak peak here. 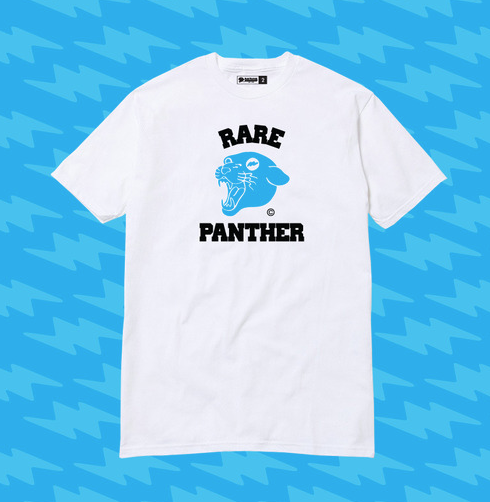 Looks like our boy Slvstr is getting ready to drop a new shirt inspired by everyone's 2nd favorite panther. Let's see how long these last in the webshop, because the LV, CC, and Versace shirts flew quick. Check out a piece Slvstr did paying homage to Juelz and Cam'ron after the jump. 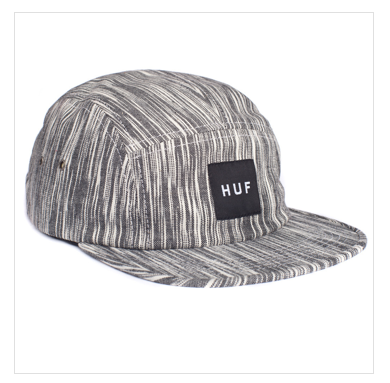 New 5-panel hat from Huf. I dig the 'reign' motif. Purchase here. Streetwear pioneer, xLarge, has a preview lookbook that you can check out over at Hypebeast here. I don't want to lose any street cred here, but I will shamefully admit that I have never been to the xLarge flagship in LA. Summer is so close I can taste it. Why don't you pick up your girl a nice Acacia swimsuit to hit the beach/pool with all summer long. 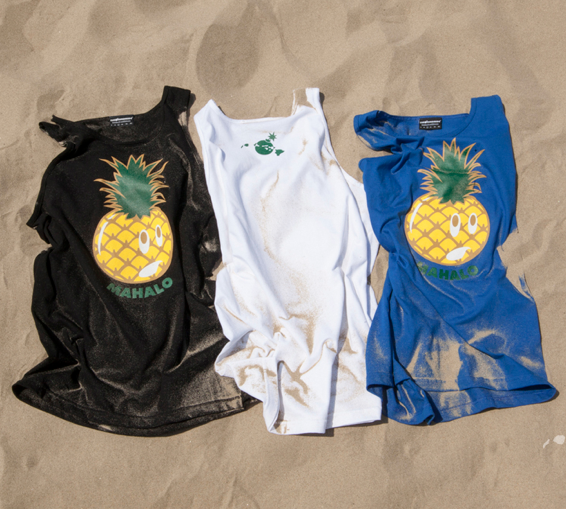 Check out their Summer 2013 collection here, currently available at BLVD in Manhattan Beach and other fine retailers. 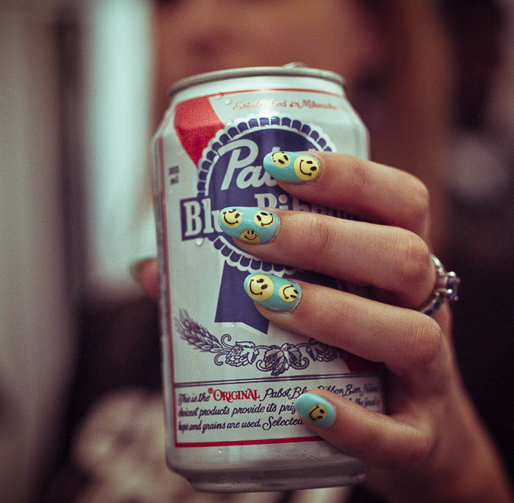 Gallery 1988 Presents Hanksy's next solo exhibition in Los Angeles, "How the west was pun". 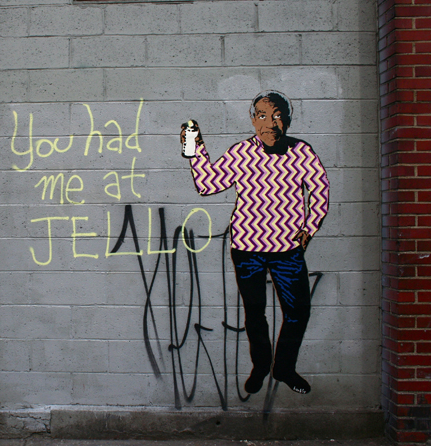 If you are familiar with Hanksy's work - you fully know what to expect with this one. Opening night is May 24th, and the show runs through June 15th. Not sure what to get Ma Dukes for Mothers Day this year? Look no further, Hershel Supply Co has you covered! Check out their suggestions here. American Apparel, official brand for hipsters worldwide*, has a new collection of tropical shorts available now. Check out the whole selection here. They have quite a range of colors and patterns, and are definitely worthy of a look. 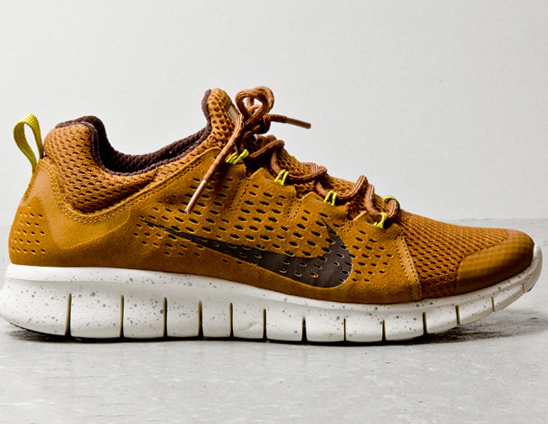 Haven't been a fan of the Powerlines collection - but this tan pair here hit a sweet spot. More information over at Hypebeast. Strolling through a surf shop in San Diego, and what do I stumble on but a brand called Mowgli. Sounds familiar right? Mowgli is the champion in Rudyard Kipling’s Jungle Book and he knows this life all too well. 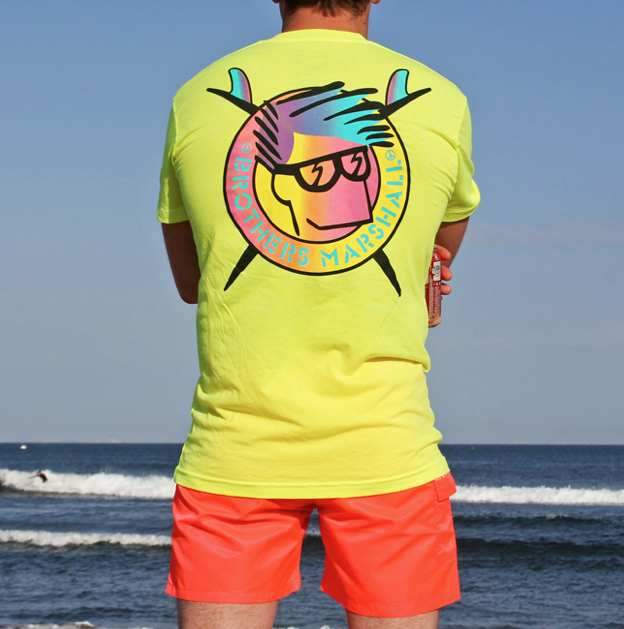 Raised by wolves in the fierce jungles of the British Raj, he is the true embodiment of surfing. His youth, wildness, and personality explode through the sport itself. Mowgli features vintage inspired designs on soft quality fabrics - and on top of that - is manufactured in CA! Check out their current collection here. More colorways of the most comfortable shoe on the block are making themselves available, and these are some of the best colorways to date. 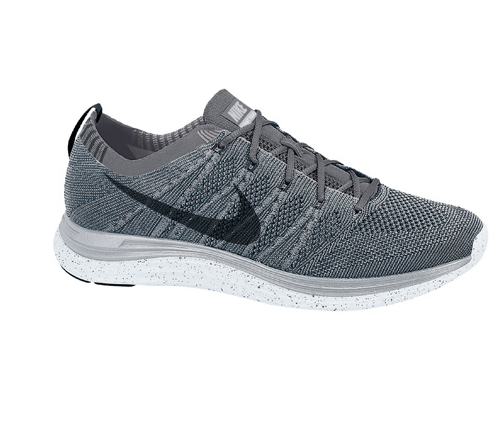 I got a pair to my replace my last runners and from a performance perspective, they are top notch. Now I'm thinking of splurging on another pair just to wear - yikes. Check out the complete collection here. Van Styles (of THLA fame) has a solo exhibition over at 7907 Rosewood Ave - showing now through May 12th. Support the arts and check it out! 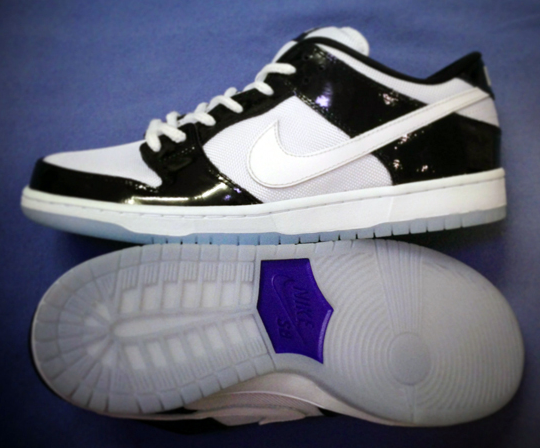 Remember when Nike Dunk/SB's were the ultimate Hypebeast shoe? Not so much anymore, but the hype always returns for the Jordan inspired colorways. These here? The business. Good luck getting your hands on them. 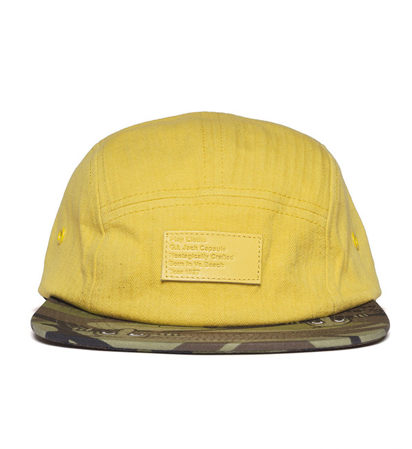 Play Cloths latest collection is available on their website now, and this is 5 panel with the camo bill is the highlight of the hat collection. I heard our boy Pusha-T shut it down at Coachella too - I'm really anticipating his GOOD music debut, My name is my name. Be on the lookout!